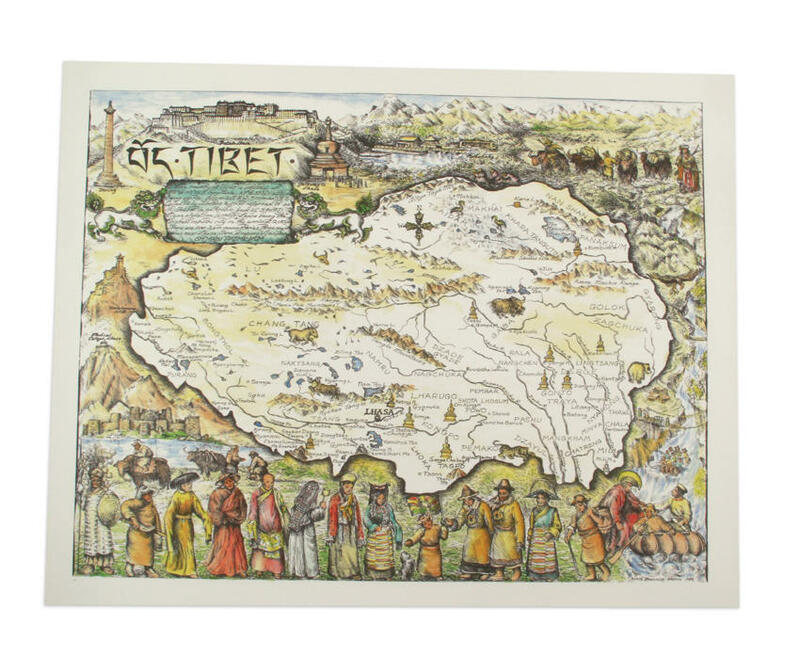 A beautifully Illustrated map of Tibet showing regional costumes by Anne Jennings Brown. 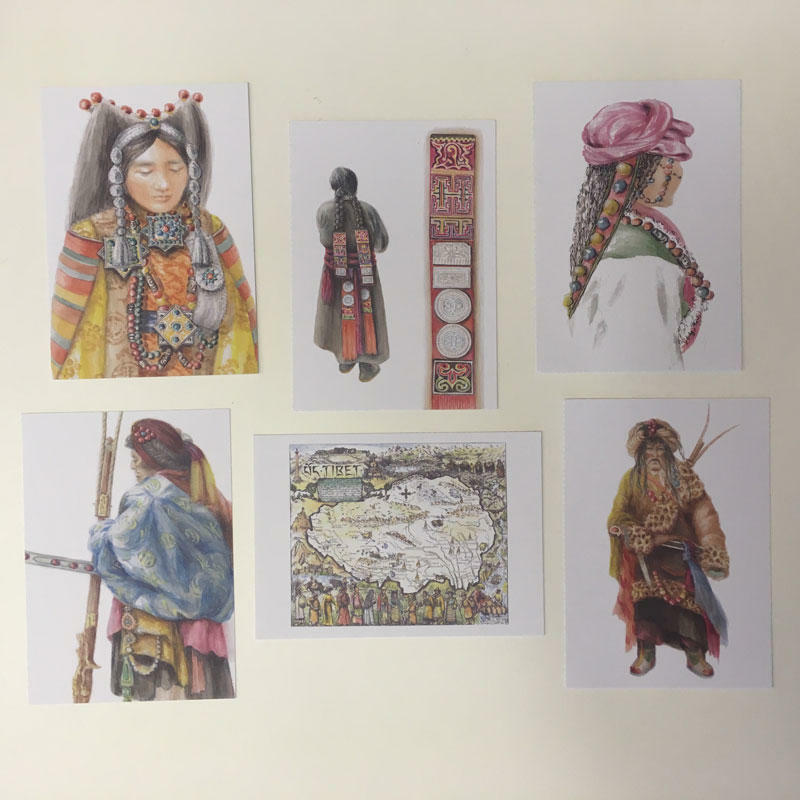 Tibet Relief Fund's culture & Costume project works to preserve artifacts, paintings and research on Tibetan traditional costumes. 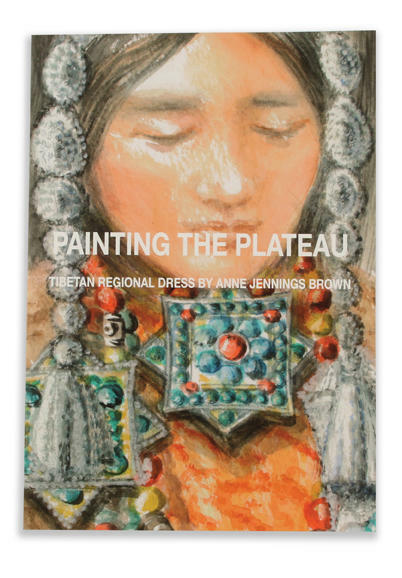 The 'Painting the Plateau' exhibition that showcases drawings and paintings by the late Anne Jennings Brown is part of the project.